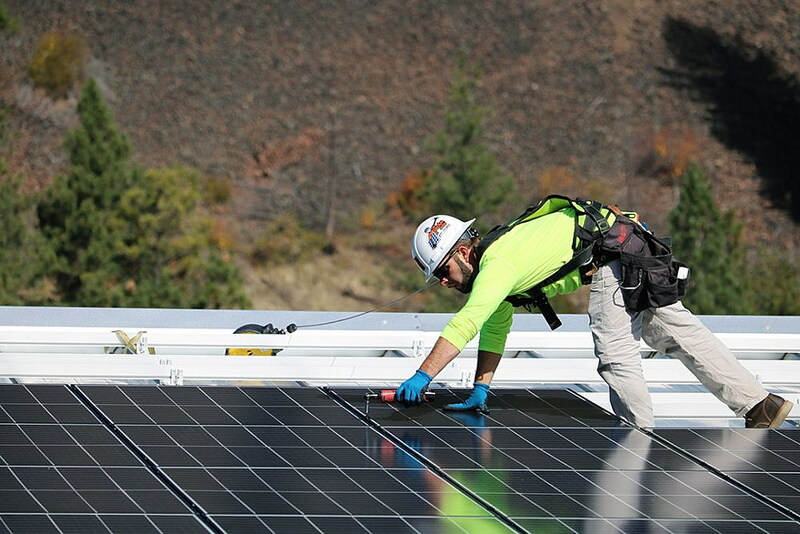 The sun shone on cue Monday as crews installed the last few panels on a 55 kilowatt solar array atop KettleHouse Brewing’s new production facility and taproom in Bonner, the third community project completed by the Missoula Electric Cooperative. While it may not produce solar-powered beer at the new taproom below, its high visibility and carbon offset play a large role in the brewing company’s desire to build community awareness around climate change, and the simple solutions that could be applied to address it. As construction wraps up on the brewery’s new taproom overlooking the Blackfoot River, O’Leary and cooperative general manager Mark Hayden discussed the array’s origin, one that dates back several years to when the KettleHouse first built its production facility in Bonner. 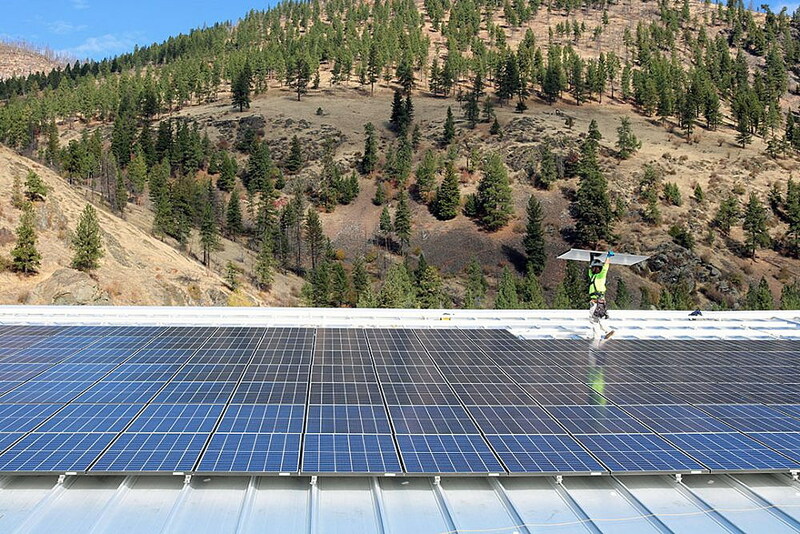 The Missoula Electric Cooperative installed its first community solar array in Lolo back in 2015, followed by a second project in Frenchtown. This array, which covers the brewery’s south-facing roof, is the cooperative’s largest yet. The $100,000 project includes 189 panels capable of generating 250 kilowatt hours a year, according to Hayden. 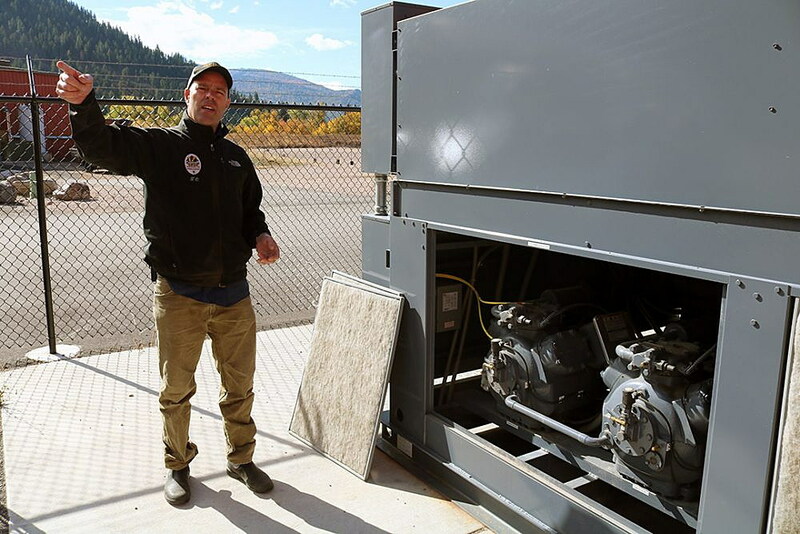 While that’s a small percent of the 1,000 kilowatt hours used monthly by the average home, when coupled with the cooperative’s nearly carbon-free portfolio, it begins to add up for members. The cooperative is locally governed by a board of directors who, responding to the demands of their members, have made a push into solar. And the timing may be perfect as consumers look at greener, cleaner options in their everyday lives. A report released Sunday by the United Nations Intergovernmental Panel on Climate Change sharply warned that rapid and unprecedented changes “in all aspects of society” are needed now to head off the worst impacts of global warming. While the Missoula Electric Cooperative and KettleHouse Brewing won’t alone change the equation, both said they’re committed to playing their part. Missoula Electric claims 12,000 members and 15,000 meters on its system. Those members can purchase a KettleHouse panel and apply the offset to their own electrical consumption, regardless of whether they’re directly served by the panel or not. While each panel goes for roughly $650, the buyer is guaranteed the output for 25 years with no maintenance costs, insurance or taxes. They’re also entitled to one free beer at the Bonner taproom per visit. Since launching KettleHouse, O’Leary said he’s learned a number of lessons, including the sense of community a taproom develops. That community often comes with demands, and in Missoula, that often nods to the environment.